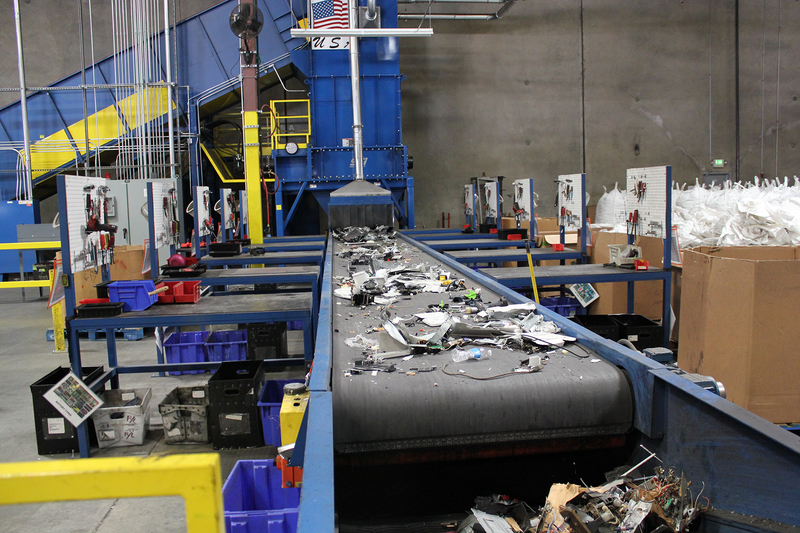 WEST CHICAGO, IL--(Marketwired - November 07, 2013) - Sims Recycling Solutions, the global leader in electronics reuse and recycling, is scheduled to appear on an upcoming episode of a new show airing on the Science Channel called, "Mega Shredders". The episode featuring Sims Recycling Solutions is titled "Heavy Metal Shredder," and is scheduled for Thursday, November 7 at 8:30 p.m. EST. The episode to include Sims Recycling Solutions will show the purchase of a custom new waste electronics shredder for their Toronto location. This new equipment needs to be twice as powerful as previous equipment, and this aggressive requirement created some challenges along the way. "This new show will provide viewers with an inside look at some of the engineering obstacles we had to work through during the design and installation of our new shredder," stated Rafael Reveles, Engineering and Technical Director - Americas for Sims Recycling Solutions. "In addition, I think it is a great way to show how much additional shredding power and capacity we needed to continue efficiently staying on top of the growing volumes of e-waste. Reveles continues, "As the fastest-growing waste stream in America, demand for e-waste recycling has continued to increase, Sims has remained committed to providing the most secure, efficient, and environmentally responsible methods of disposal for our customers". Similar to that shown on "Mega Shredders", was the recent installation that took place at Sims' Roseville, Calif. facility of another "mega" class shredder. This new shredder replaced e-waste recycling equipment originally installed in the mid-1990s and was upgraded in response to the growing demand for electronics recycling services. Sims Recycling Solutions (us.simsrecycling.com) is the global leader in electronics reuse and recycling, offering customers in every business sector comprehensive recycling services out of our 43 owned and operated sites across the globe. Sims Recycling Solutions -- owned by Sims Metal Management, a publicly traded company -- has the global reach, expertise and infrastructure necessary to guarantee our customers that their data is secure, their electronic equipment is processed in an environmentally responsible manner, their reputation is protected and their compliance risks are eliminated. In North America, Sims Recycling Solutions operates 15 sites in Arizona, British Columbia, California, Florida, Illinois, Maryland, Nevada, New Jersey, Ontario, Quebec, Tennessee and Texas. This release may contain forward-looking statements, including statements about Sims Metal Management's financial condition, results of operations, earnings outlook and prospects. Forward-looking statements are typically identified by words such as "plan," "believe," "expect," "anticipate," "intend," "outlook," "estimate," "forecast," "project" and other similar words and expressions. These forward-looking statements involve certain risks and uncertainties. Our ability to predict results or the actual effects of our plans and strategies is subject to inherent uncertainty. Factors that may cause actual results or earnings to differ materially from these forward-looking statements include those discussed and identified in filings we make with the Australian Securities Exchange and the United States Securities and Exchange Commission ("SEC"), including the risk factors described in the Company's Annual Report on Form 20-F, which we filed with the SEC on 16 October 2013.